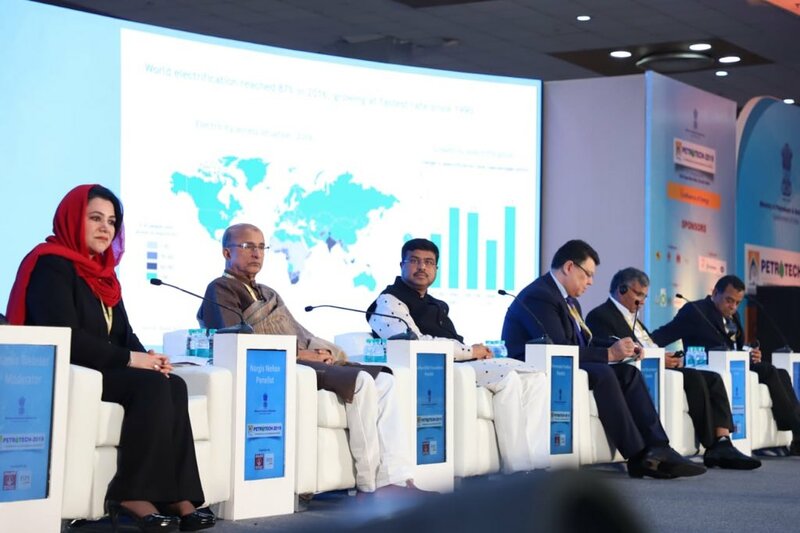 Union Petroleum and Natural Gas & Skill Development and Entrepreneurship Minister Dharmendra Pradhan has called for expanding the supply and availability of energy in a safe and environmentally responsible and sustainable manner.In the Welcome session of the PETROTECH-2019, the 13th Edition of India’s flagship hydrocarbon Conference, today at India Expo Mart, Greater Noida, he said that said that Energy is integral to support the fast-growing Indian economy and we are working to deliver energy justice to the poorest of the poor by adopting the four pillars visualized by Hon’ble Prime Minister Narendra Modi that is Energy access, Energy efficiency, Energy sustainability and Energy security as our guiding principles. Over 95 Energy Ministers from partner countries are expected to participate in the three day Conference. Prime Minister Narendra Modi will formally inaugurate the event tomorrow. Welcoming the delegates at the event, Petroleum and Natural Gas Minister Dharmendra Pradhan said, India is the third largest consumer of crude oil and petroleum products and the government has taken several measures to provide energy for all. He said, the theme of the conference is Collaborating For Sustainable and Secure Energy Access for all. The Minister said, India is the fastest growing economy in the world and this has been achieved through series of policy reforms taken by the government. He said according to World Bank and IMF, India will continue to remain fastest growing major economy in the world with growth expected to achieve 7.5 percent in next two years. Mr Pradhan said, government is committed to provide clean cooking fuel to all households. He said, countries need to come together to tackle climate change through global collaboration. The Minister said, during the conference Policymakers, Delegates, Oil and Gas experts from around the globe will collaborate to shape a new energy world to aim for sustainable, affordable and secure energy for all. He said the event will also serve as a platform to discuss solutions to the challenges faced in delivering affordable, efficient, clean and assured energy supplies to all.